Today, two new LEGO sets were revealed. 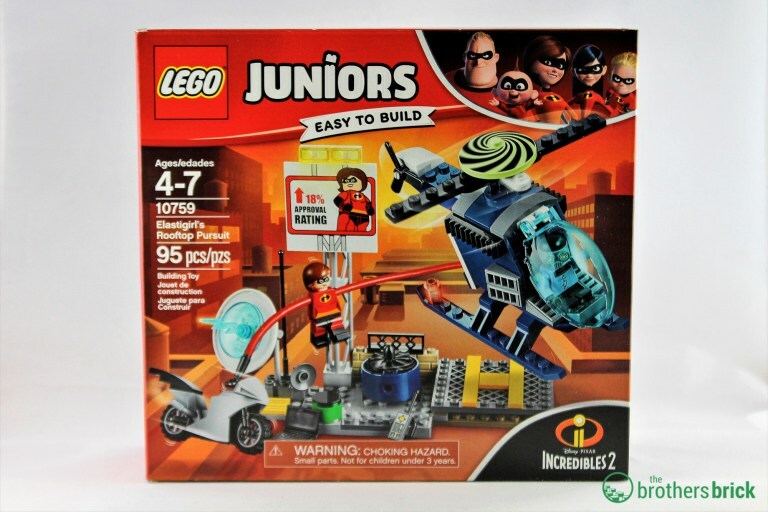 The features of the new Parr home seem really cool and just the LEGO description makes me want to see it in action in the final movie. Wait, so is that girl (Brick) the villain of Incredibles 2? The one in the second lego set? 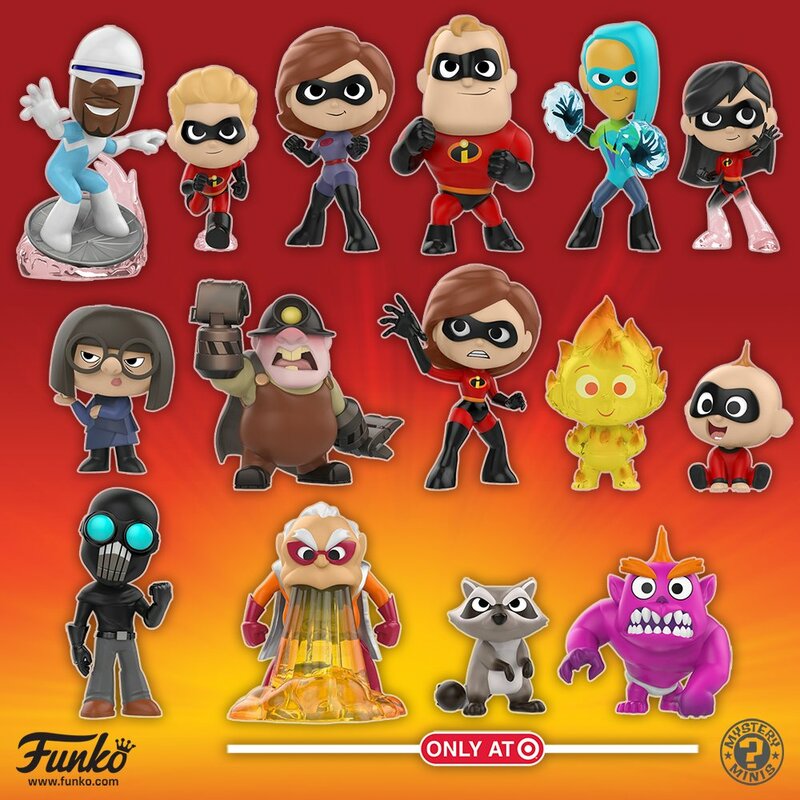 Well gang, most likely because of Toys R Us' going-out-of-business announcement, Incredibles 2 toys are hitting shelves early. although a lot of these were previewed at the Toy Fair, this was the first time we were able to get a closer look and some of them are really cool. Here's a video we uploaded to our YouTube channel - we'll be sure to upload more as we see them! What do you think? 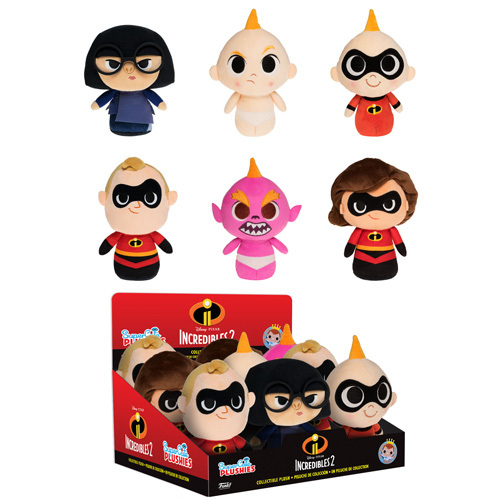 Incredibles 2 mystery minies! I think I spy the villain! He was also served as a pretty menacing looking background in the new mural. 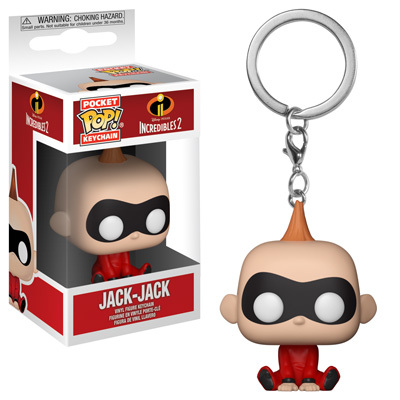 Awesome - the villain matches the one in the updated poster artwork at Pixar studios...and the exclusive one of Jack-Jacks little monster that he turns into is great. I also like the fact that Violet's feet at white (or clear) showing that she's able to vanish! Who's the other guy to the right of the raccoon? Is he hacking up gold or is he sucking in? 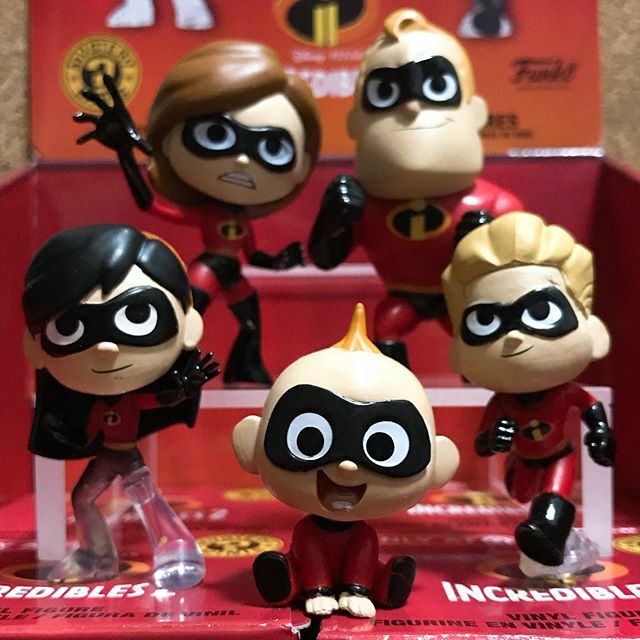 Edited: Also found this image on Instagram for the Funko minis - Violet's legs are clear. 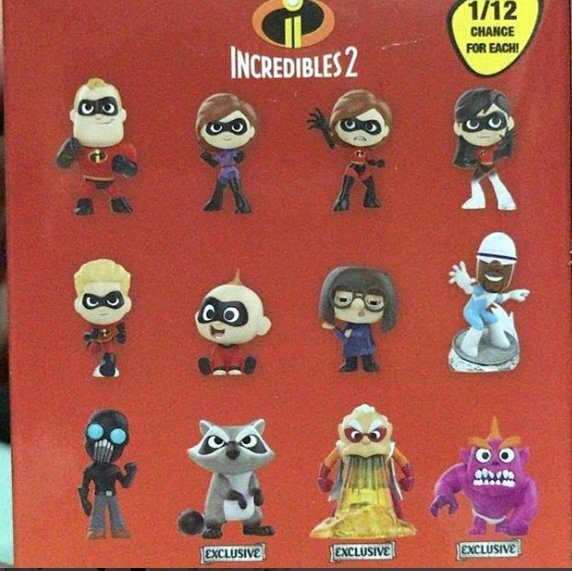 Also, people are saying that the exclusives will be at Target. Interesting. T.J do you have any more information on the villain? Can we even conclude that the person is the villain? I think it might be the clearest option at this point. Another LEGO set - Elastigirl’s Rooftop Pursuit. Awesome - another set and more info. Yes, I can confirm we know who the villain is...but, there are many smaller villains and one main villain (no surprise really). I still can't say too much, but the villain has been leaked online in other places...BUT...the main theory floating around about that person is wrong!! This is Brad Bird's movie and he's really secretive about his projects - so even the next trailer probably won't show too much. I want that Violet Funko figure so badly, about time they gave her one after Bob and Helen got theirs a few years ago. 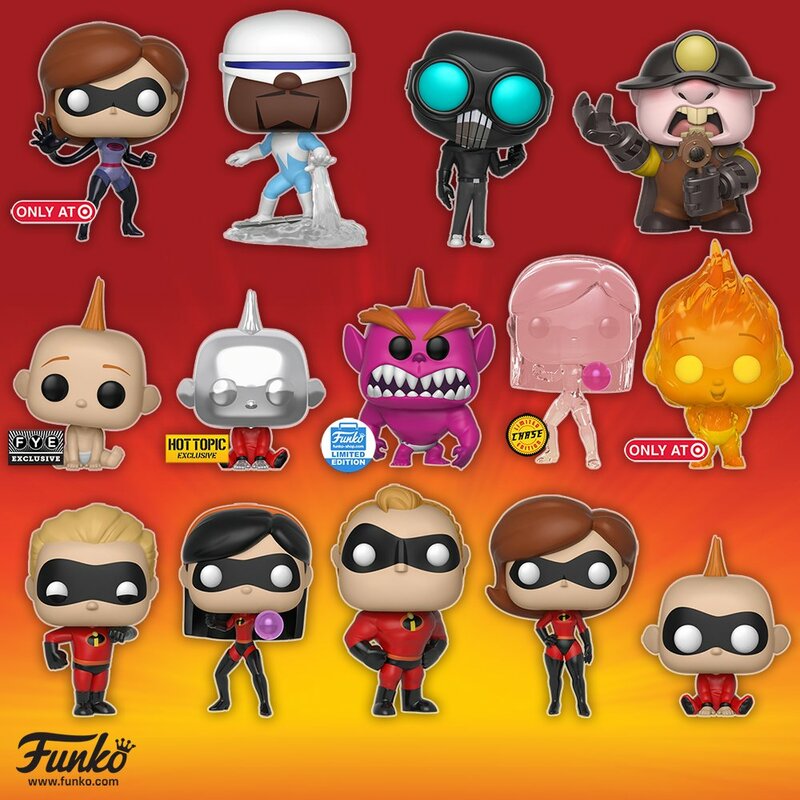 Woohoo - Check out this line up of products from Funko for Incredibles 2! I started buying the Funko Pops. Ehhh, I knew this was going to happen! It's all good though, (except for the fact that I used my lunch money) but I'm happy and Incredibles 2 is more important than my nutrition. 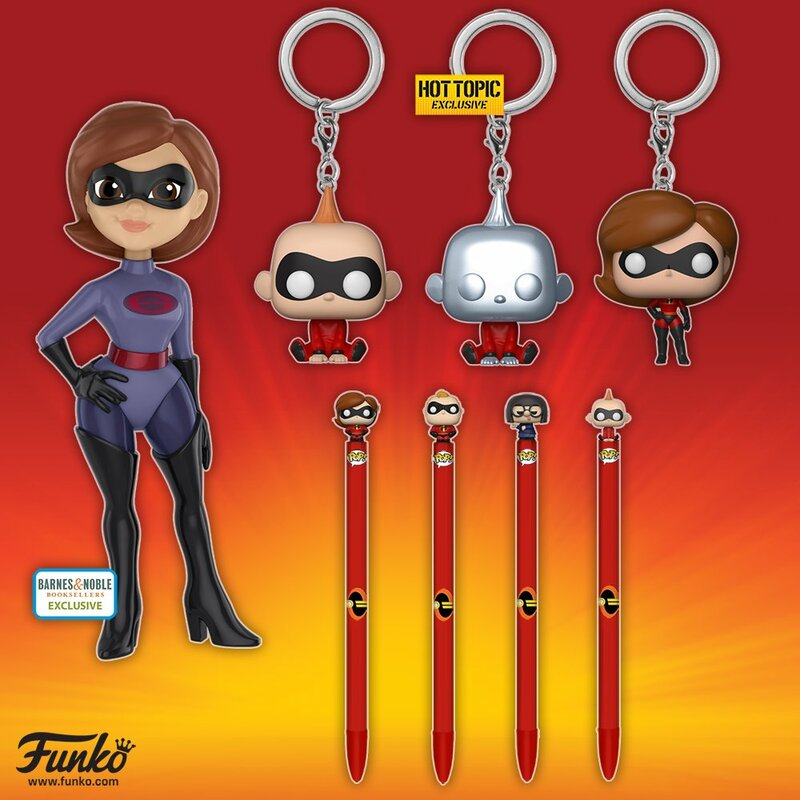 On July 14, Hallmark will be releasing an Incredibles 2 Keepsake Ornament called “Elastigirl Rides Again”.